What Happens If A Spouse Dies During a Bankruptcy? Property owned by a husband and wife is ordinarily protected in Florida from creditors of only one spouse. There are requirements to being able to use what is called the Tenancy by Entireties Exemption such as the property must have been acquired at the same time etc. 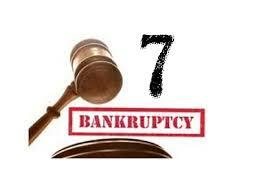 One question that was recently addressed by a bankruptcy court dealt with what happens if a debtor has exempted real or personal property in a Chapter 7 bankruptcy and his or her spouse dies during the bankruptcy. Is the exemption then lost? The Chapter 7 debtor’s right under Code § 522(b)(3)(B) to exempt real property owned in a tenancy by the entireties with the debtor’s non-filing spouse was not extinguished by the postpetition death of the spouse. The rights of sole creditors against property held by the debtor as a tenant by the entireties are fixed as of the petition date, and the Bankruptcy Code does not provide for those rights to expand or contract upon the postpetition death of the non-filing spouse. For additional information about protecting assets when filing a Chapter 7 or Chapter 13, please see our website or contact us for a free consultation about your specific circumstances.